Origi nally founded in Tunbridge Wells, we moved offices to Warlingham, Surrey 3 years ago which is now our operational hub for all of our projects throughout the South-east We have quickly gained a reputation for a quality of service that is far superior to our closest competitors which has guaranteed repeat work over 90% from our clients/building contractors. Thanks to our wide range of expertise, we are the multi-specialist company to trust with your project in any sector, whatever nature. Our consistency and long-standing values are cornerstones that have made us who we are. Blu is committed to innovation and continuously invest in professional development and advanced technology to deliver sustainable and quality electrical solutions that surpass the aspirations of our clients. Through our partnership and trade-to-trade service, we have established great connections working with building contractors, develpoers and local authority departments. Our dedicated teams undertake a wide range of projects including, Social Housing, Education, Commercial, Healthcare, Leisure, as well as sensitive fit-outs of prestigious and high specification building conversions. Our projects’ values range between £50,000 & £1.1 million to date increasing at a healthy & steady rate ensuring we have the ability to resource all projects correctly. Our goal is to be the most successful Electrical Contractor in the South-east with a rich reputation for delivery of professional, timely and superior services founded on the ethos of Ethics, Service, Health and Safety and Environmental care. 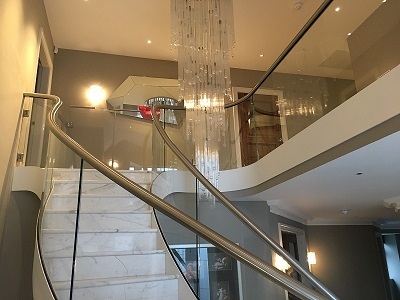 We aim to raise standards of safety and service, as well as provide maximum value through efficient and cost effective solutions that are eco-friendly and customised to suit each client’s unique needs. To achieve this goal, we acknowledge the importance of regular training and investment in continuous development. As such, our team undergoes thorough training to hone their skills and potential, and provide the best possible working environment. We have underpinned these five policies because of our commitment to consistent quality values across all our departments. We are quality-conscious with a thorough understanding of electrical installations. Hence, we ensure superior and precision Electrical solutions that meet the highest standards. From IT network cabling to medium and high voltage installations we deliver on each and every large-scale project with efficiency and a fast turn-around. A wealth of hands-on experience amassed over the years working on electrical installation contracts and delivering optimal levels of Health and Safety Management. Flexible and smart electricians passionate about what they do; they are refined and honed to deliver comprehensive service to fully meet our clients’ expectations.